As mud-out efforts continue in in the wake of the Louisiana flood, many home owners are ready to begin rebuilding. The flooded contents of their lives have been hauled out to the curb, nasty sheet rock and insulation torn out, and the wood studs have been sprayed for mold and dried. Now its time to start putting things back together. Can you come and help? This past weekend Lakeshore Baptist Church made another trip over to Louisiana. this time we hung insulation in a home. We partnered with New Life Church of Baton Rouge and stayed in their facilities. New Life Church, formally known as Laurel Lee Baptist Church, is the church I grew up in and is still my parents church. The pastor and members there have a heart to help those in the community effected by the flood. The church building has a well-equipped fellowship hall kitchen. Classroom space can sleep volunteers on air mattresses or cots, and the building has showers. They have offered to host any of our Rebuild Lakeshore teams heading that way to help. Can you come? 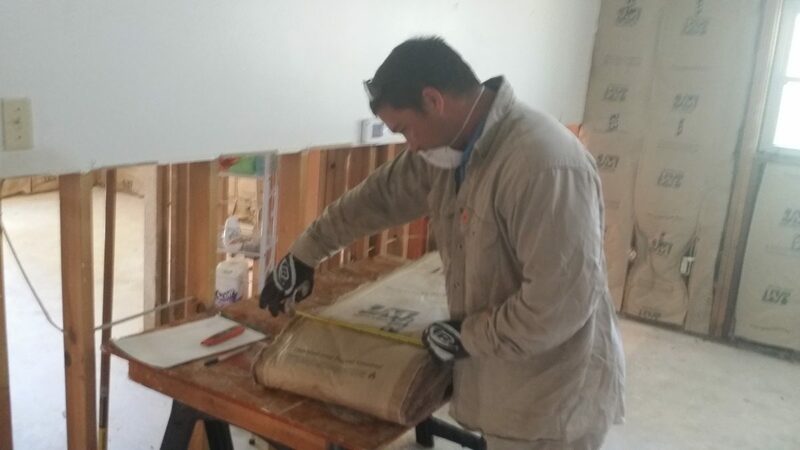 Insulation in one house is just the beginning. We have several other projects lined up. We need folks who can install batted insulation and hang sheet rock to come asap. We will then continue with the projects as we see the families return home. You can email me at elbourne@lakeshorebaptist.net, call my cell phone at (228) 671-6315, or pm me on Facebook.